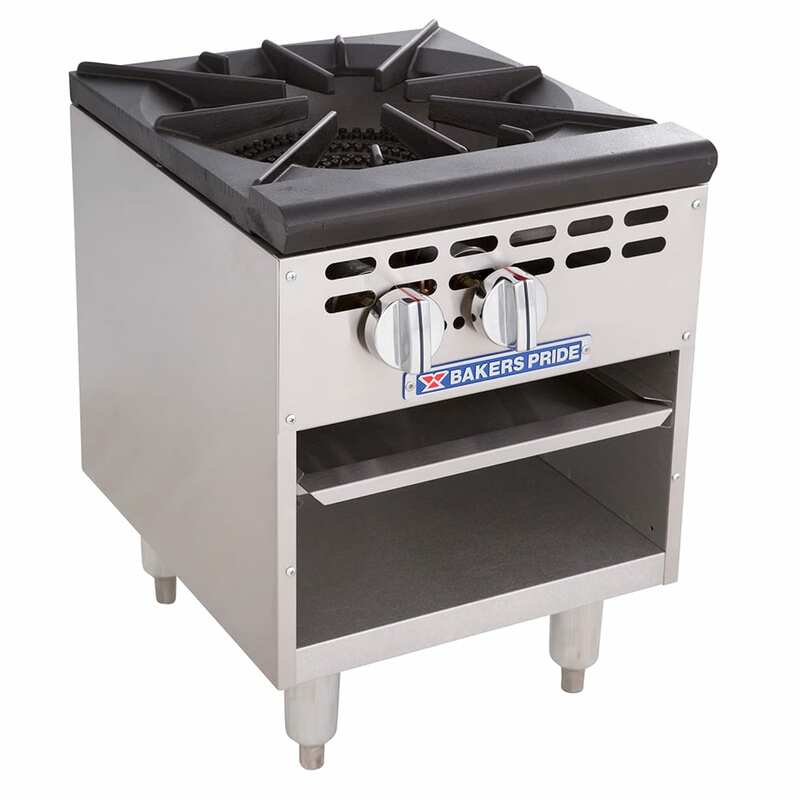 The Bakers Pride BPSP-18-2 stock pot range has one three-ring burner with two valves, each one with its own continuous pilot controlled by cool-to-the-touch knobs. Large pots are supported by heavy-duty cast iron grates, and an integrated drip pan catches liquid and other spills for cleanup. 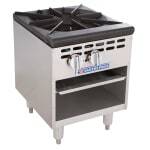 Durable and quick cleaning, the range has a stainless steel front, base, and sides.